From the Home screen, navigate: Settings icon (located in the lower-left) > Network & Internet. 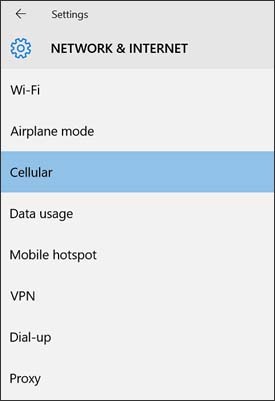 From the left-pane, select Cellular. From the Cellular section (located on the right), select Verizon Wireless (LTE). From the "Security" section, tap or click Unblock PIN (may require scrolling to the bottom). If an invalid PUK is entered too many times, the SIM card may be permanently disabled.